Recently settled in New York, fiery, flame-haired musician Summer Zahova is enjoying life as a violinist with a major orchestra. Under the watchful eye of Simon, her attractive Venezuelan conductor, Summer and her career flourish. But a new city, and her new found success, brings fresh temptations, and it isn't long before Summer is lured back to a dangerous underground world of intrigue and desire that she thought she'd left behind her for good. Meanwhile wealthy university professor Dominik, frustrated by his life in London without Summer, is drawn to New York to be with the woman he now knows he cannot live without. But while Dominik believes he can protect Summer from her dark side, little does he realise that his own passions could end up being far more destructive to them both. 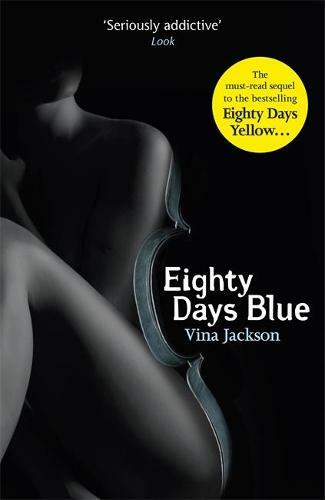 The addictive second book in Vina Jackson's bestselling romance trilogy is exciting, enticing and full of surprises. Having read the first volume of this trilogy, Eighty Days Yellow, and being slightly underwhelmed by it I was pleasantly surprised by this second volume.